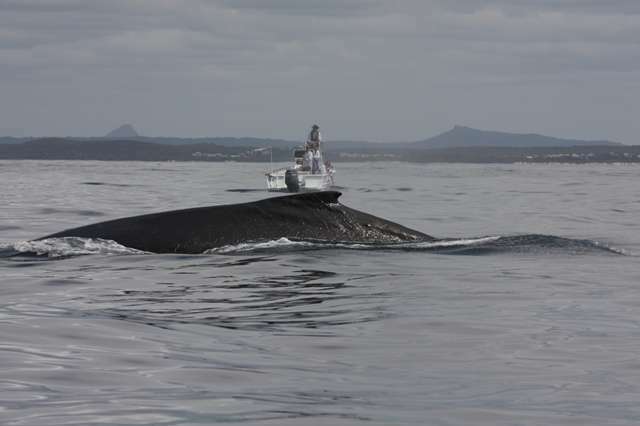 "The study, titled The Behavioural Response of Humpback whales to Seismic Surveys (BRAHSS), involved an air gun array - as used for oil and gas exploration," Dr Dunlop said. "It was unclear how humpback whales might react to the airgun sounds and whether the proximity of the disturbance was a concern as well as the received level," she said. The BRAHSS team investigated the animals' reactions to strings of repetitively firing air guns as they were towed for an hour across the migrating whales' path. 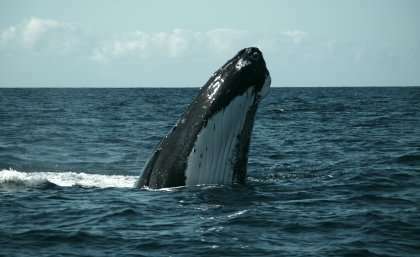 Two teams of volunteer observers on geographically separated Queensland Sunshine Coast beaches tracked the whales' movements before airguns began firing, while guns were going off, and for an hour after. They did a series of 'controls' which measured the response of the whales to the vessel itself. "Within a certain distance, they did not show a clear avoidance reaction to the vessel alone, suggesting it was the air guns that triggered this reaction," she said.